Founded in 2005, the Greek airline Sky Express has its headquarters in the city of Heraklion in Crete and has its main hub at Heraklion International Airport. The airline currently operates domestic flights to 18 destinations within Greece with its fleet of 4 aircraft, comprising of 3 ATR 42-300 planes and 1 ATR 42-500 plane. 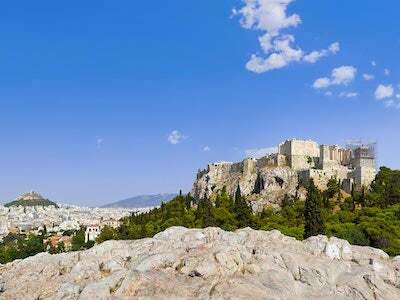 The Greek destinations that the airline fly to include Aktion National Airport in Preveza, Alexandroupolis International Airport in Alexandroupoli and Athens International Airport. 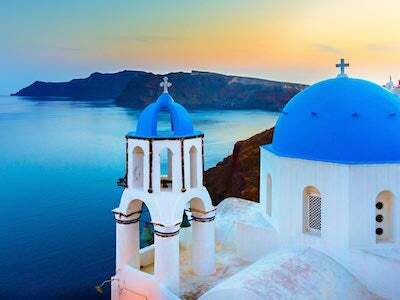 Other destinations in Greece that are serviced by the airline include the cities of Kos, Lemnos, Corfu and Rhodes. Airports in the country that can be reached with Sky Express include Mytilene International Airport, Zakynthos International Airport, Chios Island National Airport and Sitia Public Airport. During the summer season, the airline operates routes to Nea Anchialos National Airport in Volos and Karpathos Island National Airport. Passengers are currently not able to check in online to Sky Express flights and should therefore ensure they arrive at the airport in good time on the date of departure to avoid possibly missing their flight. It is not required for passengers to print out their booking reservation before arriving at the airport. During the check-in process, Sky Express passengers will be asked for their travel details as well as their personal identification by the ground staff before receiving a printed boarding pass. The check-in counter at the airport closes 30 minutes prior to the scheduled flight departure time. The amount of hand luggage a passenger is allowed to take with them on Sky Express flights is dependent on the type of ticket they have purchased. For those with a Just Fly ticket, 1 piece of hand luggage weighing up to 3 kg is allowed, whilst all other passengers can take hand luggage weighing up to 6 kg. Hand luggage on Sky Express flights should not be larger than 45 x 35 x 20 cm and should be stored in the overhead locker or under the seat in front of the passenger. Liquids are allowed on board as long as none of the containers can hold more than 100 ml. The amount of checked baggage passengers are allowed to take with them on their Sky Express flight depends on the type of ticket they have bought. Travellers with a Just Fly ticket are able to take 1 piece of luggage weighing up to 13 kg whilst Plus ticket holders can take up to 15 kg and All In passengers up to 25 kg. Children over the age of 2 years old are allowed the same amount of baggage as adults. Additional luggage allowance can be purchased, however no single piece should weigh more than 28 kg. Sky Express passengers are advised to label each piece of luggage with their name and address. Very good small airline. Complimentary drinks and sweets given in flight. Makes a difference from having to pay for every small thing.